Miss Havisham is a wee bit crazy! That goes without saying, I suppose. 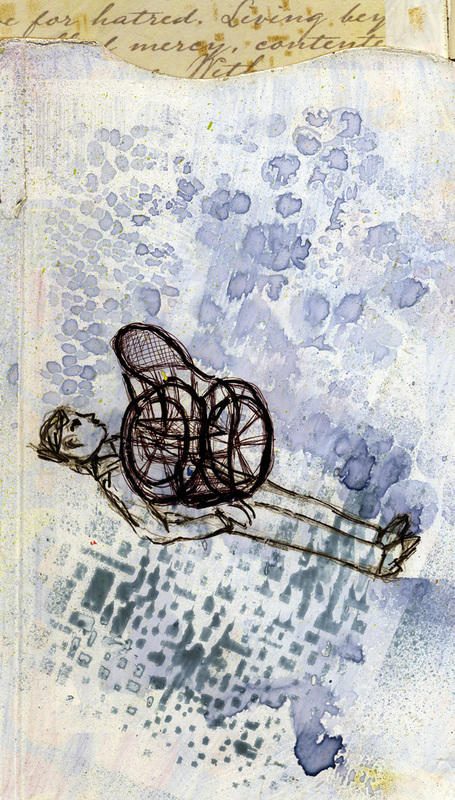 Pip walks her about the disarrayed room in a wheelchair. (Estella has left the room.) She asks Pip again if he finds Estella beautiful and graceful. Of course, who doesn’t? Miss H tells Pip that she raised Estella to be loved. Now this is where it gets weird. Then she repeats over and over, raising her voice and getting hysterical, ‘Love her, love her, love her!’ This freaks Pip out and it starts to sound like a curse! She says she gave her whole heart and soul to the man who left her at the altar. She’s a bit bitter!